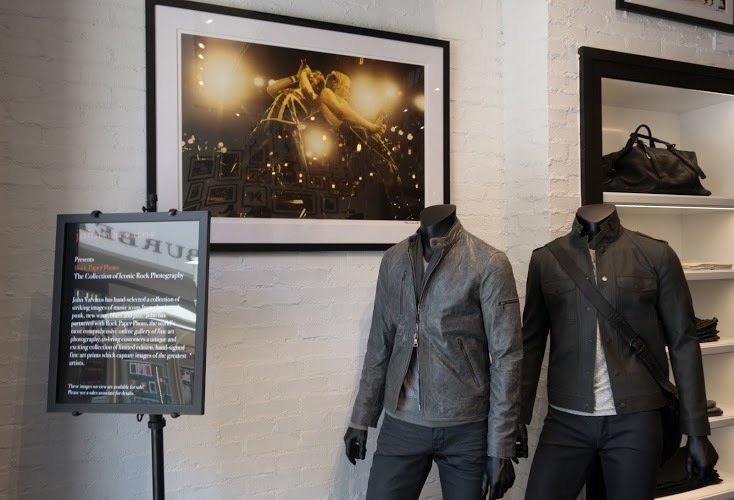 Friday was the sneak preview of the John Varvatos store. The turnout was great and it was fun to see how excited people were about the new opening. When you walk into the store, the store looks modern and masculine with the white shelving and wooden tables and floors. A server with a tray of iced tea greeted me and champagne and he kindly asked if I would care for a beverage. 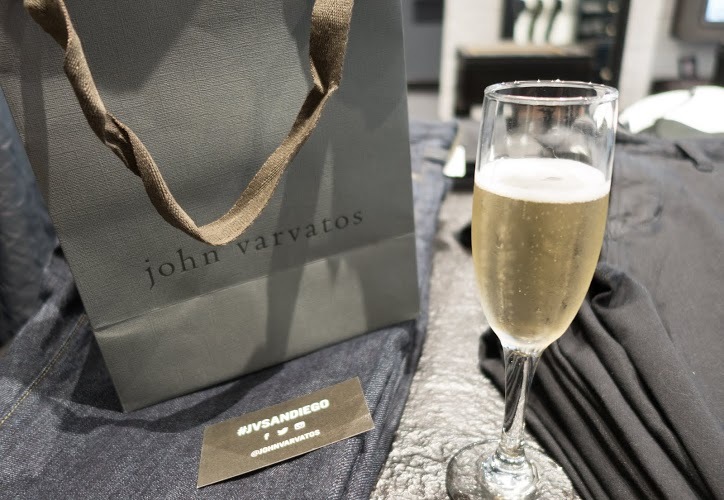 Who could pass on a complimentary glass of champagne? Not me! It’s 4pm somewhere in the world, right?! Following my glass of champagne, an associate gave me a card with hashtags for social media and a fairly large swag bag. 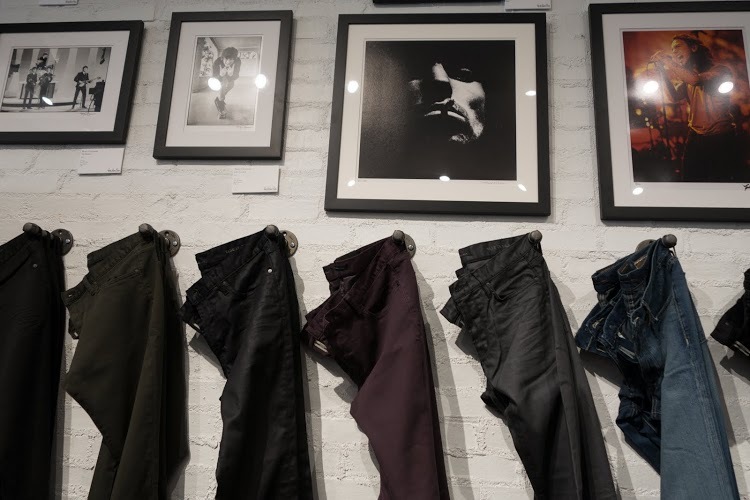 The layout of the store made merchandise easy to find and see. 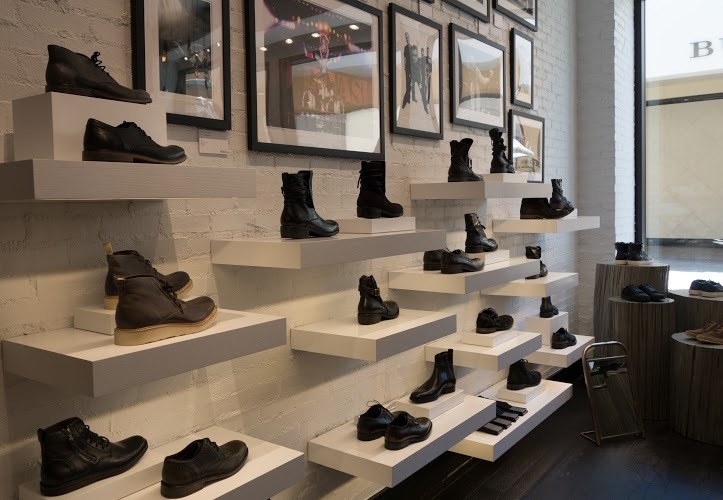 Their boots and shoes selection is amazing, everything from dressy for work to converse for play. 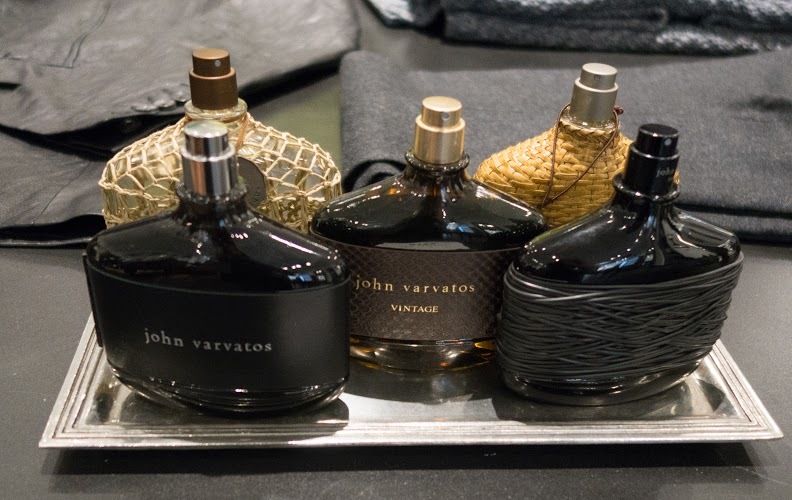 John Varvatos is truly a store that will fit any lifestyle.